Visiting Cornwall and looking for inspiration? Don’t miss our guide to the best things to do in Cornwall. When I made the move from Adelaide, Australia to Cornwall, I didn’t know much about the county apart from that it was England’s favourite seaside destination. Determined to make the most of it, I soon set out to experience as many of the best things to do in Cornwall as possible. You know what? II found out there’s way more to Cornwall than beautiful beaches and tasty pasties. 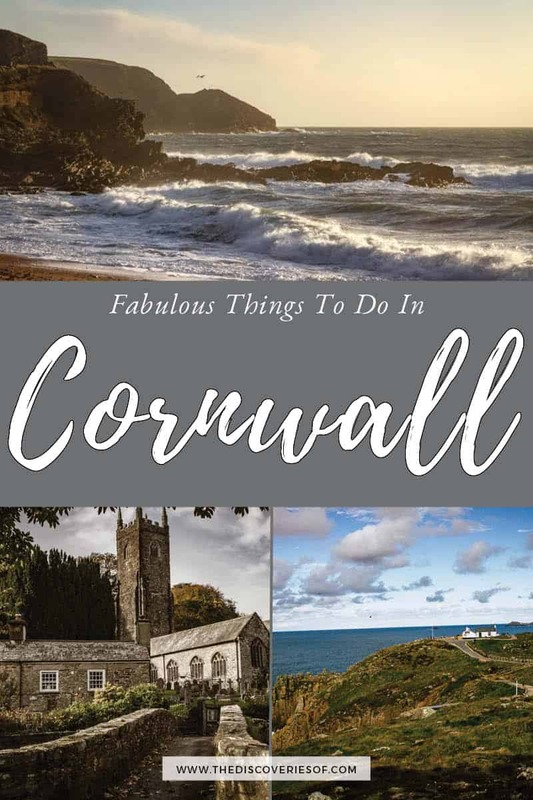 That’s not to say the beaches aren’t gorgeous (they are) and the pasties aren’t delicious (they are), but there’s also a deeper – and some might say more interesting – side to Cornwall too. Planning your trip and wondering what to do in Cornwall? 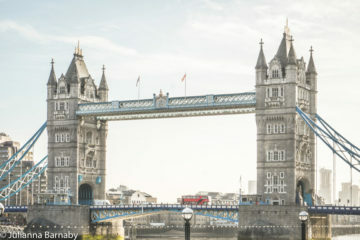 Don’t miss my pick of the top places to see and things to do – from the big tourist attractions to a few more unusual suggestions. Let’s go! Let’s get started with one of Cornwall’s must see spots first. No trip to Cornwall is complete without dropping by St Ives, arguably Cornwall’s most beautiful (and most popular) beach town. You’ll find lots of great restaurants, shops and art galleries dotted around the gorgeous sandy, horseshoe shaped bay. Although you can visit St Ives all year round, it’s definitely at its best during the warmer months. During summer, visitors flock to St Ives to enjoy the crystal-clear water and soft white sand, and you can often find bustling festivals on the sands or in the nearby town. As an Australian, I must confess to have been a tad snobby about the prospect of surf beaches in England. However, I must humbly ask for forgiveness – all over Cornwall, there are great surfing beaches with many friendly surf schools that will have you hanging ten in no time. Surfing is one of the best things to do in Cornwall. Of all of the surf beaches, Newquay is the best-known. The breaks are good for surfers of all ages, and whether you’re an experienced surfer or looking to try it out for the first time, then Newquay is a great choice. Even if you’re not a surfer, simply watching the skillful surfers navigate the waves is a real treat. There are many charming National Trust houses and gardens in Cornwall, however my favourite of all and a real Cornwall must-see is Trelissick in Feock. 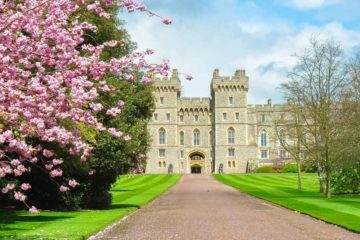 The house itself is grand and beautiful, and was once owned by an intriguing lady who successfully ran against a male far-right politician during World War II. However, it is the gardens and views that really sets it apart. The house overlooks a beautiful cove which is truly stunning. You could sit out the front and admire the views for hours! There’s also a beautiful and lush garden, that looks like it could have been plucked out of a tropical country. It’s definitely well worth a visit and is best explored slowly. Like most seaside destinations, Cornwall offers a selection of brilliant seafood restaurants – but Rick Stein’s is probably the most famous and should to on your list of places to visit in Cornwall. Cornwall’s best-known chef actually has three different restaurants in Cornwall, each serving scrumptious seafood as well as other options. Rick’s flagship restaurant is located in Padstow, however I personally prefer the view and ambience at Porthleven. Located on the harbour, the restaurant is absolutely beautiful (and dog friendly!). Of course, the seafood is mouth-wateringly delicious, and the wine list is fabulous too. 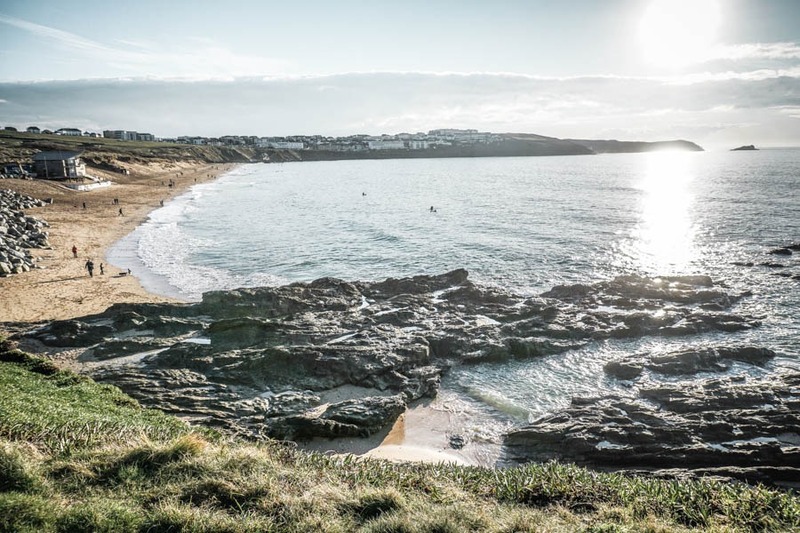 While most visitors to Cornwall stop by the big names like St Ives and Newquay, there are dozens of picturesque beaches and coves lining the county’s coast. 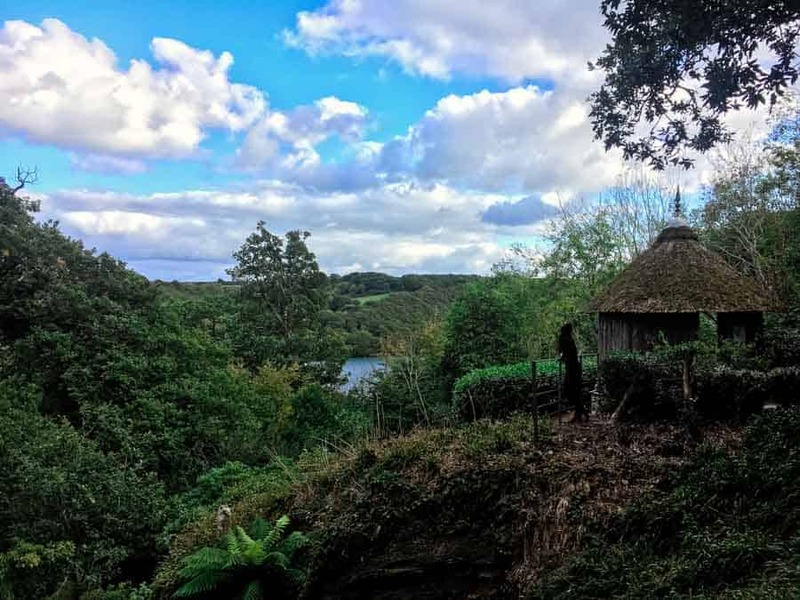 They’re inviting in summer, of course, but why not visit them in the winter when there’s that dramatic atmosphere to remind you of Cornwall’s smuggler past? My personal favourite is Church Cove near Gunwalloe. The beach itself is beautiful and dramatic, with a rugged cliff-face and sweeping bends. The Church Cove is also enchanting, with a pretty stone church sheltered from the seas that’s still in use to this day. 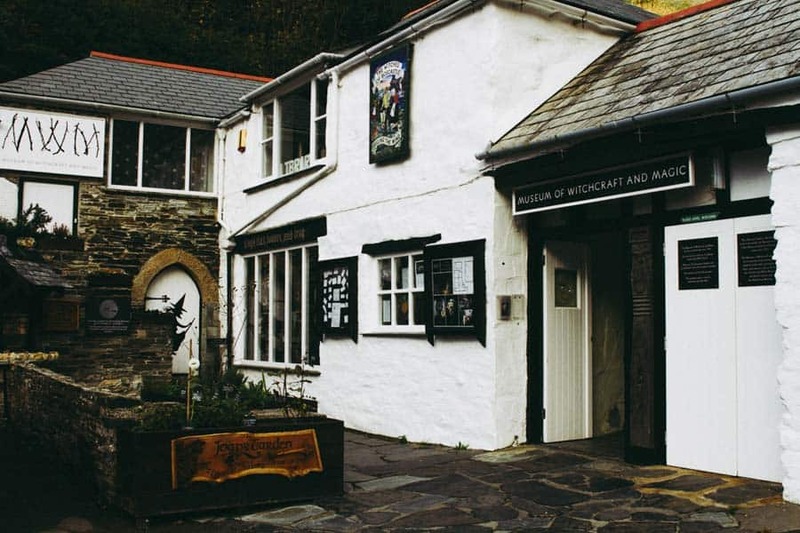 Fair warning – this won’t be for everyone, but if you’re looking for something highly unusual and a bit creepy to do in Cornwall, then you’ll love the Museum of Witchcraft. This intriguing museum is not about black cats and broomsticks, but about real witches, their history of persecution, and their beliefs. The museum is extremely interesting, and many of the artefacts from the museum are loaned to places such as Oxford and Cambridge for anthropological study. Apparently, JK Rowling even visited the museum of many occasions to get inspiration for the Harry Potter series. Be warned – it’s not kid-friendly and can be a bit eyebrow raising at times, but it’s truly fascinating. Cornwall’s dramatic landscapes have been inspiring writers and artists for many years, meaning there are many quirky galleries and markets to enjoy. Whether you’re looking for paintings, jewellery or natural body scrubs, you’ll find it hand-made in Cornwall! I love to make a day out of visiting Truro, Cornwall’s “busiest” town (with a population of 20,000). 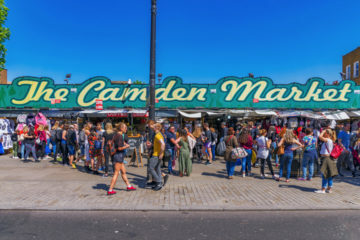 Just wandering around the pretty streets is a great way to spend the afternoon, but be sure to pop into the Pannier Market, where you’ll find over 30 different stallholders selling everything from gin to teapots. Don’t be fooled by Cornwall’s sunbaked and carefree image – it has a dark side! In fact, historically Cornwall has long been associated with pirates, wreckers and smugglers. It’s said that at one stage, more rum was flowing illegally through Cornwall’s coasts than was being legally imported to all of England! 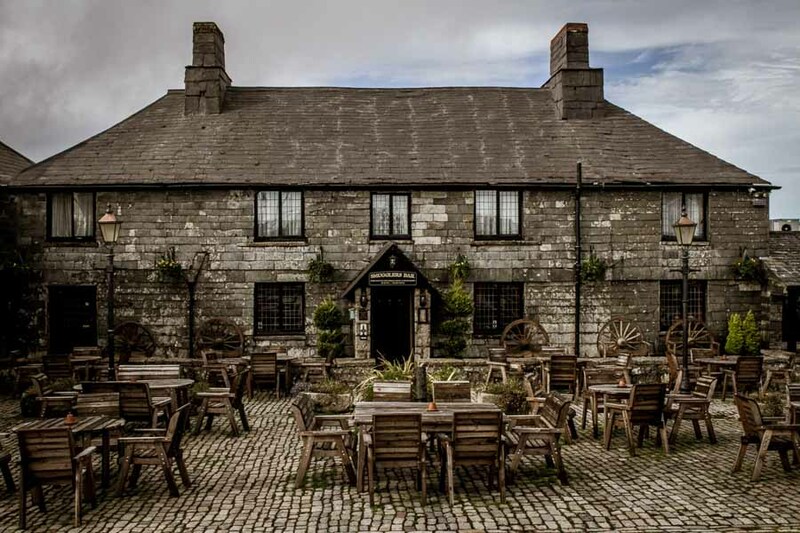 To find out more about Cornwall’s smuggling past, stop by the Jamaica Inn on the edge of the Bodmin Moors. 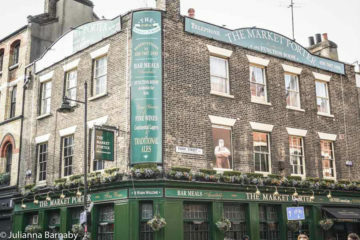 Rumour has it this was a former haunt of smugglers, where they’d store their bounty away from the eyes of the police. Whether or not that’s true, Jamaica Inn was where the author Daphne du Maurier wrote her haunting novel of the same name, so it’s definitely an interesting and historic place. Cornwall is generally a pretty peaceful and relaxed place, but that’s not to say that there aren’t places to dance away to some beats until the early hours of the morning. Thanks to the large university population, bustling and picturesque Falmouth is the place to go for a night out. 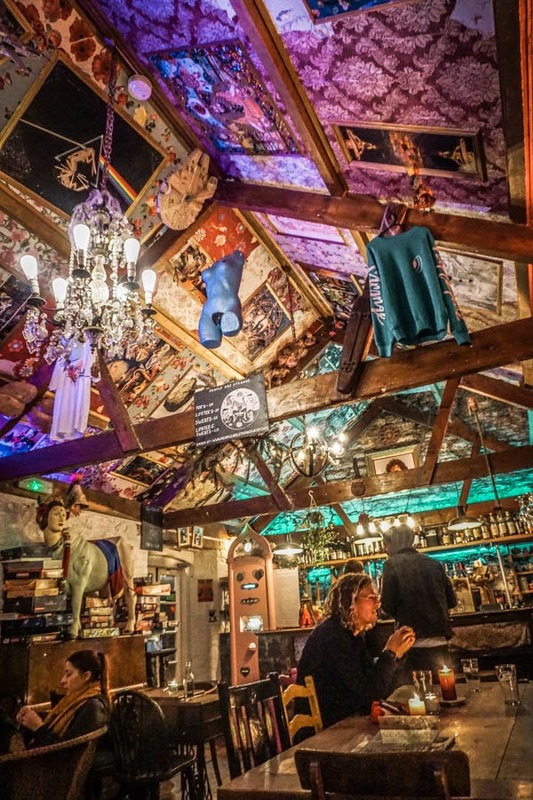 You’ll find lots of cool bars as well as a few slightly more questionable nightclubs. My favourite bar is “Beerwolfs”, which also has a regular calendar of events including live music and poetry nights. It’s got a fun, laidback student atmosphere but absolutely everyone is welcome. Not up for clubs? There are many great pubs in Falmouth as well as nearby Penryn, which has slightly more grit (and my favourite pub, the Famous Barrel). This is Cornwall. You can’t leave without eating a delicious, real Cornish pasty. That means made, bought and eaten in Cornwall! It’s hard to find anywhere in Cornwall that isn’t selling Cornish pasties – I think the neighbourhood would revolt if anywhere was to try! However, Ann’s Pasties in Helston is my “local”, while I hear it on good authority that Oggy Oggy’s and Chacewater Bakery are some other options that get the local tick of approval. One of the first things I noticed about Cornwall was that the landscape is dotted with what seems like hundreds of old brick chimneys. These are the remnants of old mines, left over from when tin mining was the lifeblood of Cornwall (and made it one of the richest counties in the United Kingdom). The tin has well and truly run out, but the relics of the past remain, slowly crumbling into the earth. It’s really interesting (and scenic) to wander around the old mines, and most are totally free to visit. It’s safe to walk around and all the mine shafts are well covered, but I’d still recommend keeping an eye on young children. 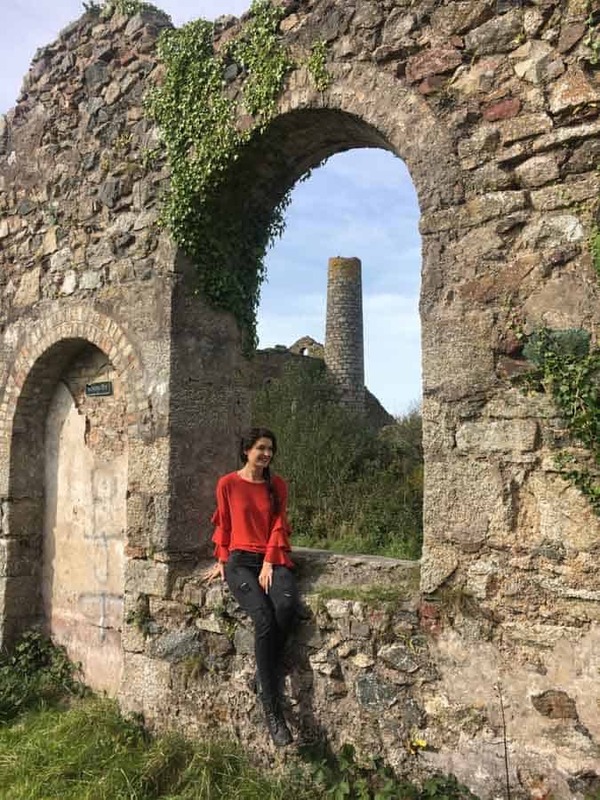 If you’d like to learn more about tin mining in the region, there are many places to hear about the history, such as at the famous Poldark Mine, one of the top things to see in Cornwall. A cool, fresh cider is a great accompaniment to a warm Cornish day, and there are a couple of cider places in Cornwall. One of the most visitor friendly options is Healey’s Cider Company, where you can go and taste their entire range of ciders. They’re all delicious, although they are best known for their “Rattler”, which is made from different types of Cornish apples. As well as the cider, there are some other truly Cornish attractions on the working farm. In particular, I loved meeting the two huge Clydesdale horses. 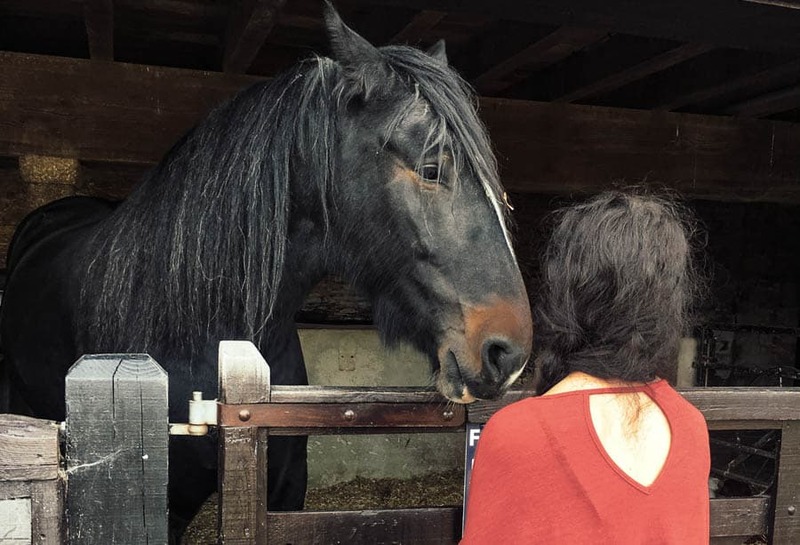 Although they are no longer used in the work on the farm, they are apparently still ridden – so if you don’t get to meet the enormous equines, you might spy them hacking down the nearby lanes! You can also tour the cider factory to learn more about how it’s produced. 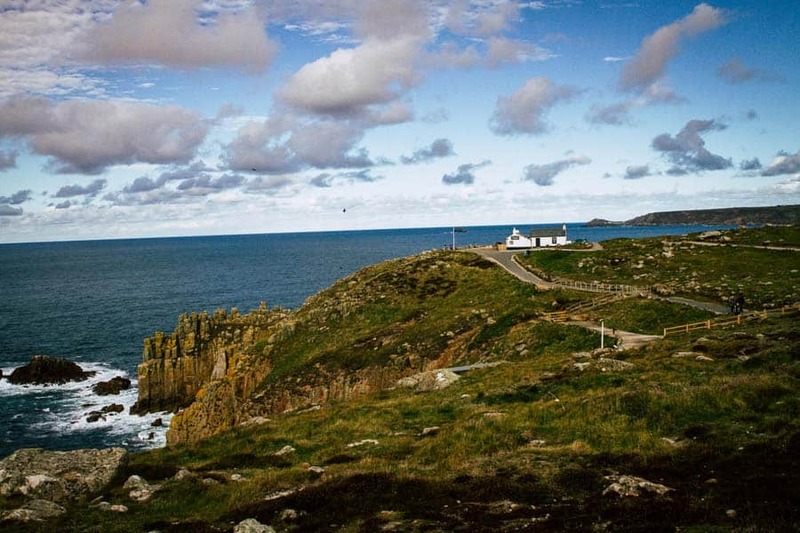 The idea of making it down to the most southerly point in the UK has intrigued visitors for centuries. It’s believed that even the Ancient Greeks made their way down to check out the views over the sea and headlands! Today, it’s easy to get to and one of the most popular things to do in Cornwall. Don’t expect a desolate, rocky point when you arrive – today Land’s End is quite the tourist hotspot and there are many amenities there to cater for visitors of all ages. Perhaps most bizarrely, there is even a Wallace & Gromit show – a bit far from their home in Yorkshire! 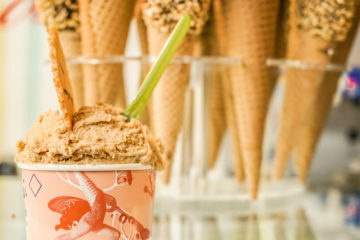 Kids might enjoy the attractions, and adults can take in the beautiful views as well as stop by the restaurant and café (preferably for a Cornish pasty). 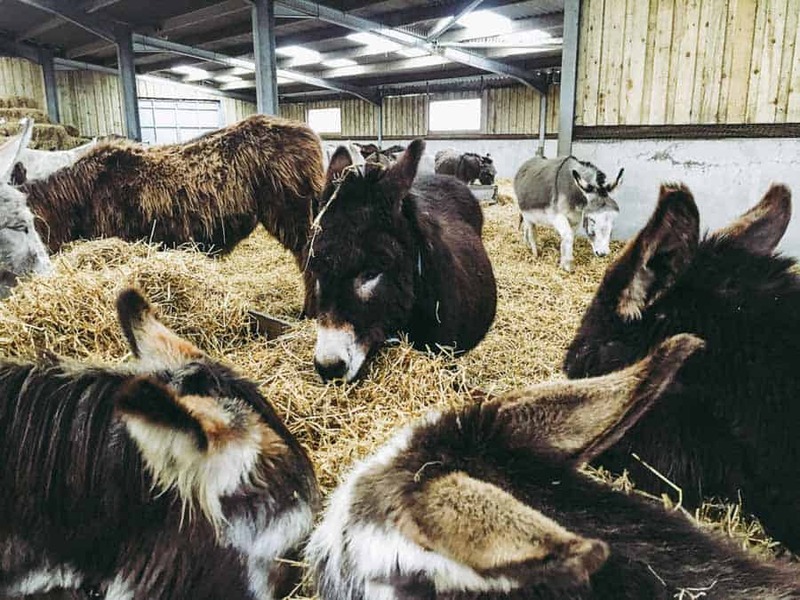 For animal lovers, a visit to the Flicka Donkey Sanctuary is an absolute treat, and a great way to support an organisation doing amazing work with limited funding. The Flicka sanctuary has rescued hundreds of neglected and abused donkeys, giving them a second chance at a happy life on their huge, beautiful sanctuary. Run entirely by volunteers, the sanctuary does an amazing job looking after these adorable donkeys. Being a working sanctuary, Flicka is not a petting zoo and it’s up to the donkeys whether they want to come over and say hello. Several are very friendly and curious, though, so there’s a very good chance you’ll get to see them up-close and give them a pat on the nose. There’s also a sweet vegetarian café which is again run by volunteers, where you can get tasty sandwiches and cakes. It’s free to visit but donations are appreciated to fund the great work they do. Cornwall is absolutely beautiful, thanks in large part to the stunning historic villages made from grey Cornish stone. They are photogenic, quaint and beautiful – as an Aussie, I just can’t get enough of them. 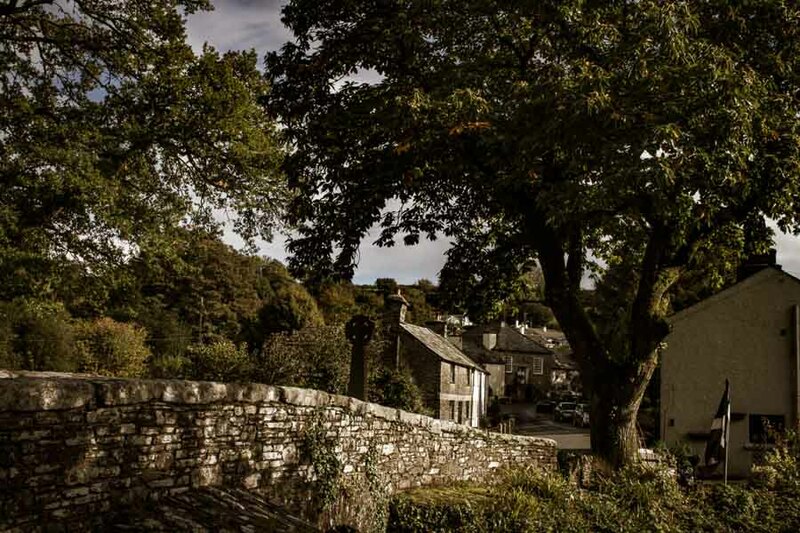 You might need to navigate some pretty hairy narrow country lanes, but it’s worth it when you arrive in these gorgeous little villages. 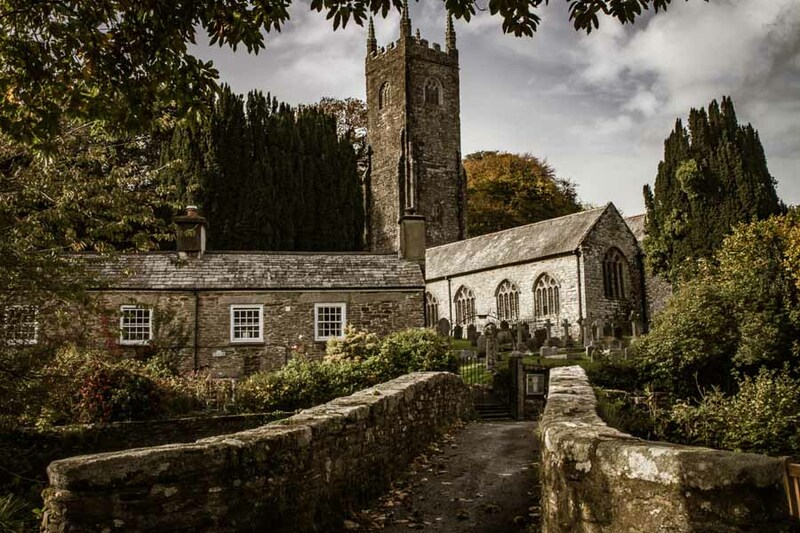 My personal favourite chance discovery was the village of Altarnun near the Bodmin Moors. It’s a very picturesque place to explore or go for a walk in, and it also has some great pubs. I particularly love the Rising Sun Inn, which still has a hitching post as so many locals ride their horses to grab a pint or bite to eat. There may not be heaps to do in these little villages, but they are beautiful and offer a glance into everyday Cornish life. Phew, with so many things to do in Cornwall, it’s no wonder it’s such a holiday hotspot! Hopefully this list has given you some ideas of the many amazing – and unusual – things to do down south in Cornwall. It’s easiest to travel around Cornwall by car – but it is possible to get around on public transport if you plan carefully and check timings. If you’re short on time, you can consider flying to Newquay and hiring a car from there. It’s not as nice as the train but it is a lot quicker. Check flights and prices. There are a few beaches in Cornwall that are starting to suffer from overcrowding during the summer months. Porthcurno and Kynance Beach see a large number of visitors when the weather is hot – head to one of the region’s many, many other beaches for a more peaceful experience. Book ahead in the summer months. While there is plenty of accommodation in Cornwall, you should book ahead – particularly in the summer months. Check rates and availability. Click here for a map of the Cornish destinations featured in this article. Love this? Save and Share on Pinterest?